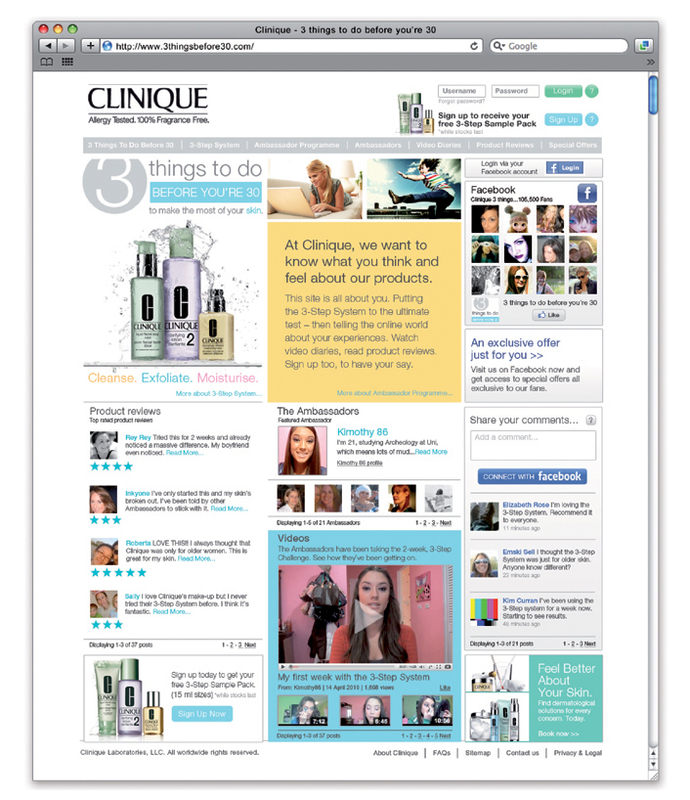 Clinique wanted to connect with a younger audience via their 3-Step System. The message was that the 3-Step System can help keep young skin looking fresh and radiant, giving women under-30 the confidence to live their lives to the full. ‘3 things to do before 30’ did just that. We developed the concept of ‘3 things to do before you’re 30’ with a dedicated website, 3thingsbefore30.com and recruited over 1000 social media influencers to join prior to launch. 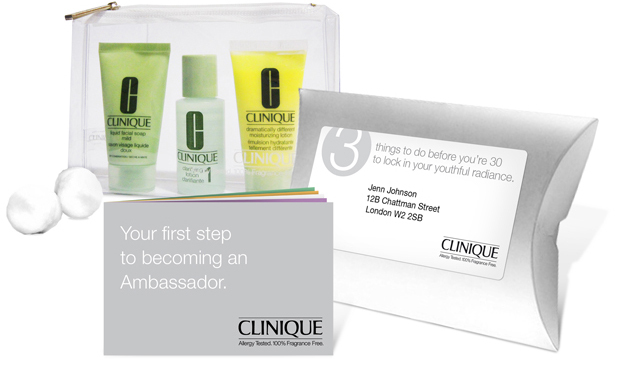 These Ambassadors were then given the Clinique’s 3-Step System to trial, and asked to share their honest experiences with the online community once it went live. 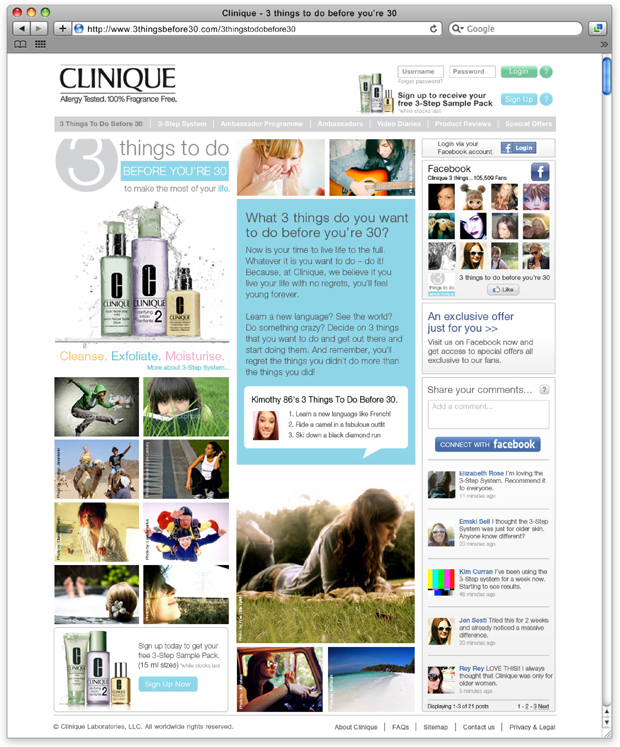 This new direction for Clinique UK was supported with online banners and their first iPhone app. And it worked. 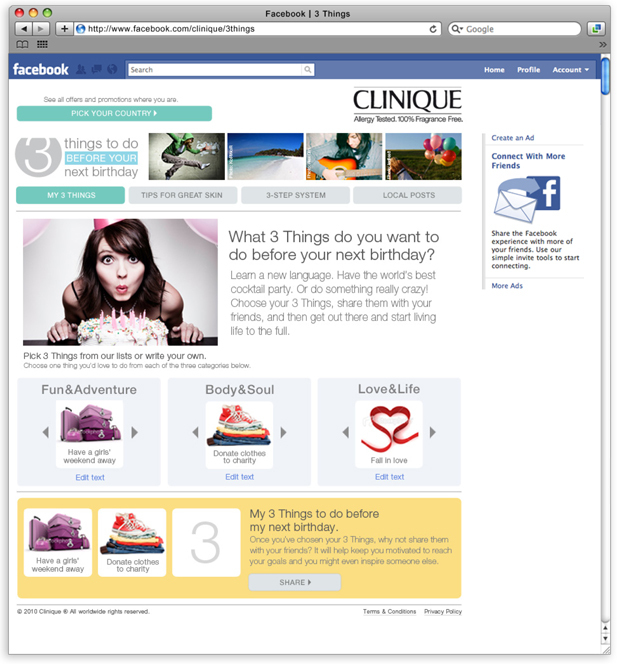 The campaign delivered 50,000 unique visitors with the 3-Step product saw a 6.7% uplift in sales.